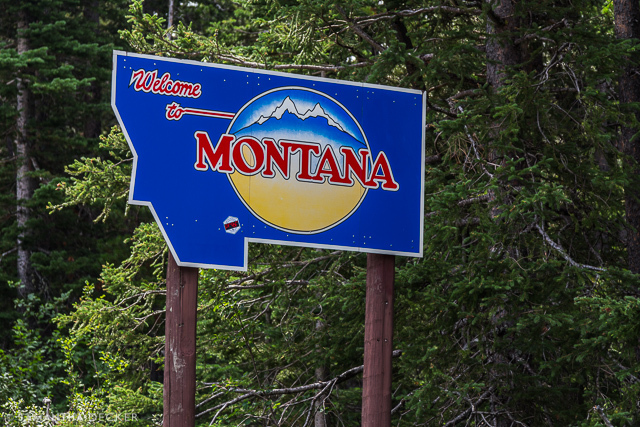 Okay, technically this wasn't my first time in Montana, since the northern part of Yellowstone National Park extends into Montana, but this was my first time spending more than fifteen minutes in Montana. 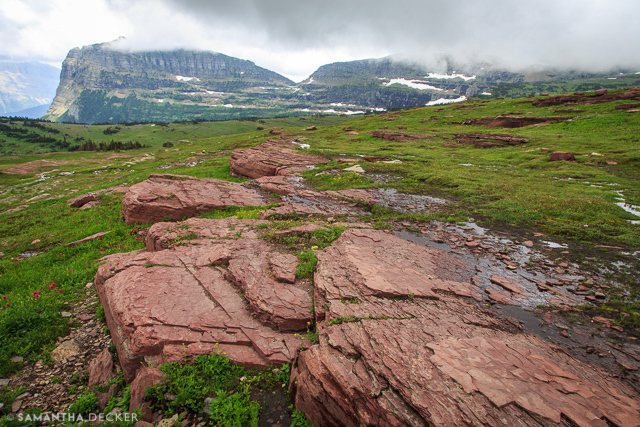 Just outside Glacier there are some interesting things to see. 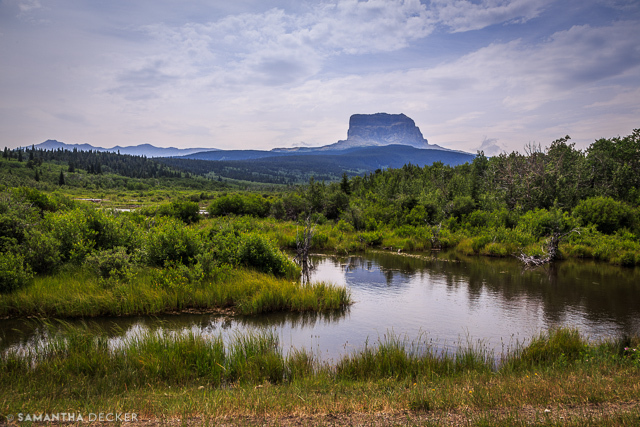 Above is Chief Mountain, which is sacred to the Native American tribes in the area. Chief Mountain can easily be seen by neighboring Alberta on clear days. 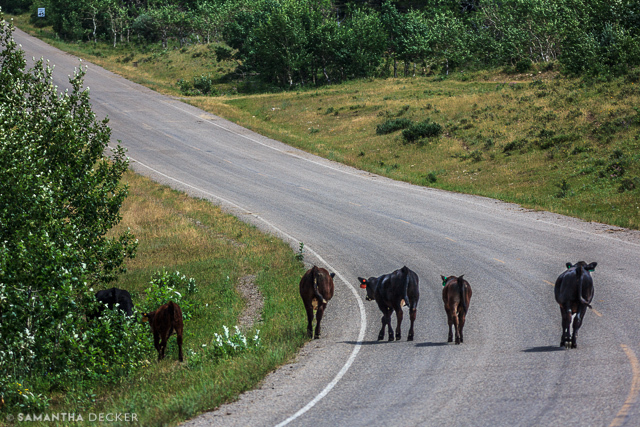 Free range cattle aren't too concerned with looking both ways before crossing the street. 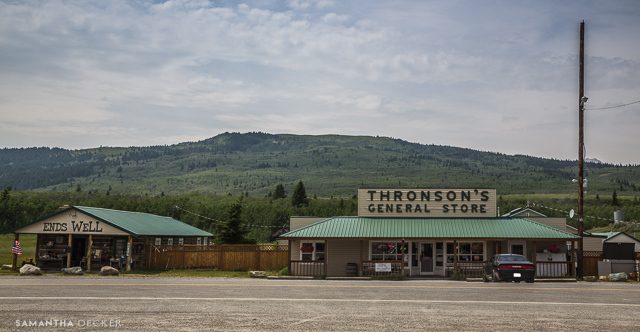 In the town of Babb, there is a small general store and antiques shop that just screams small town America. 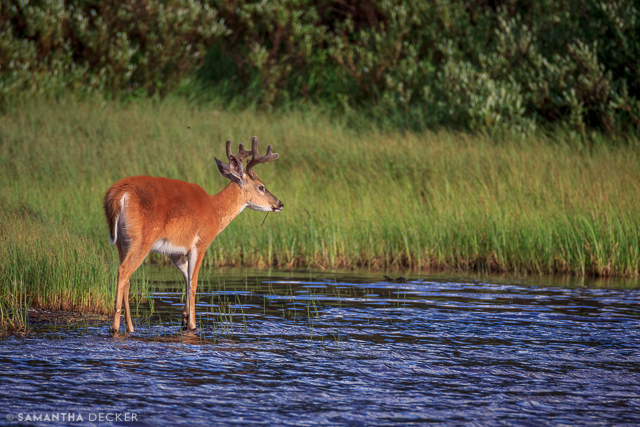 We have plenty of these back east too, but it's neat to see them in different locations. 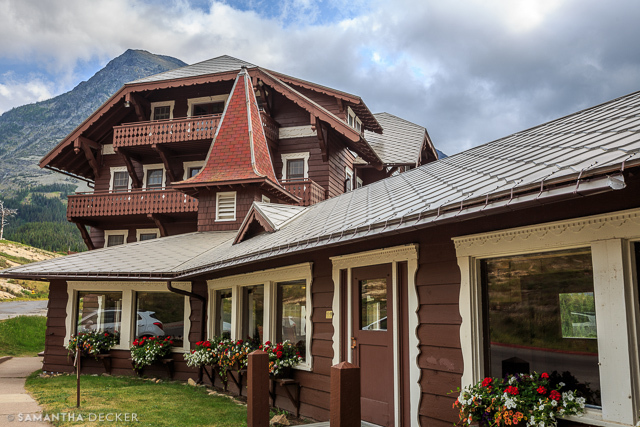 The Many Glacier Hotel where we stayed evokes the Swiss Alpine lodges that its first guests one hundred years ago commonly frequented. 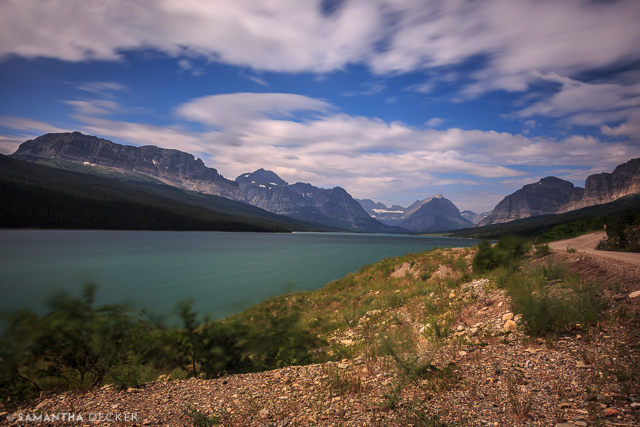 I've never been to Switzerland, but I sure felt like I was there while I was in Glacier National Park. 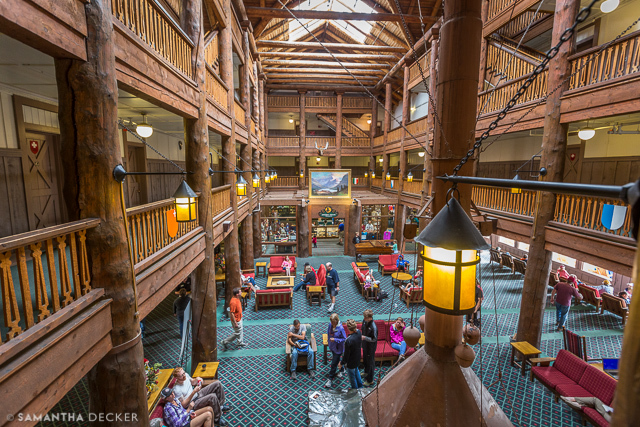 The lobby has a rustic lodge feel, reminiscent of some of the other National Park lodges I've visited. 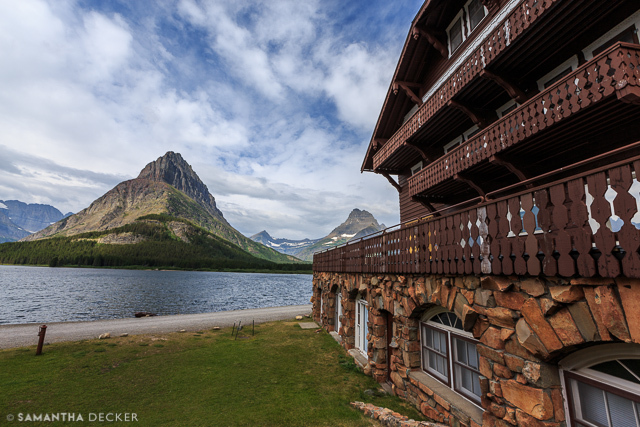 During the hotel tour, I grabbed an empty shot of the Ptarmigan Dining Hall overlooking Swiftcurrent Lake. 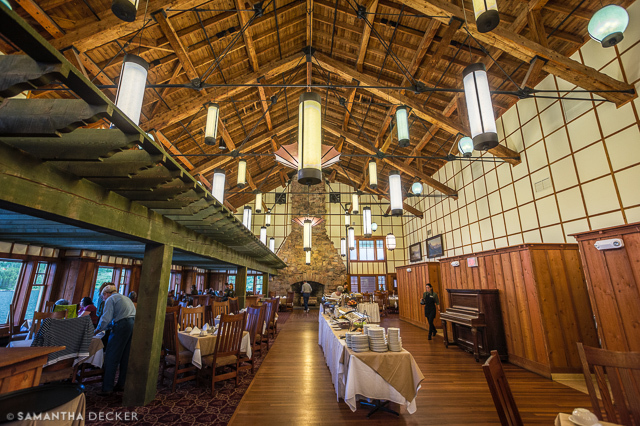 The dining hall has some interesting features, such as a pergola over most of the tables and oriental lights hanging from the ceiling. 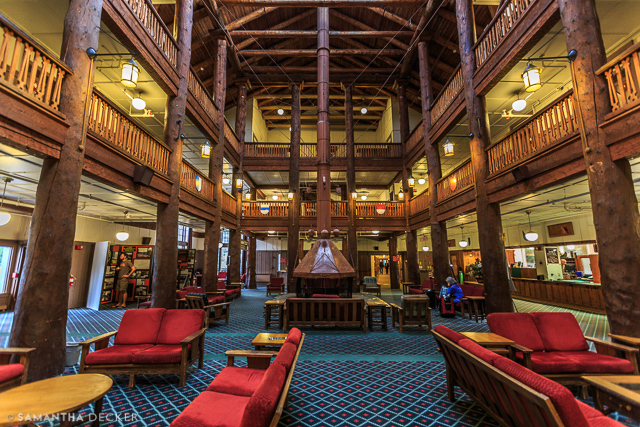 This photo from the floor of the lobby gives a better view of the fireplace. 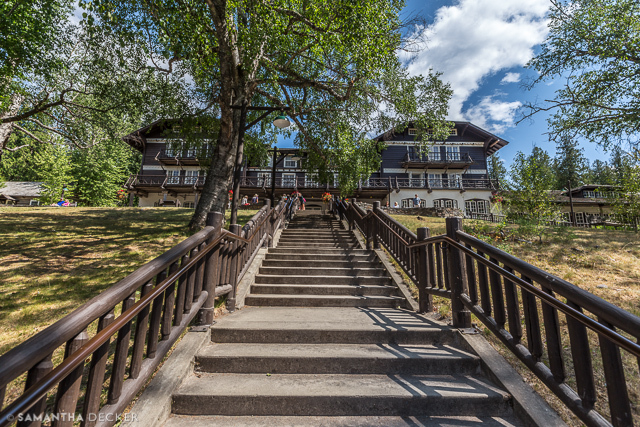 Adding to the rustic nature of this hotel was the fact that there was no wifi or cell coverage available anywhere on property (or in the park for that matter) other than a more-frustratingly-slow-than-it's-worth wifi signal in the lobby. Oddly, I didn't miss it too much. 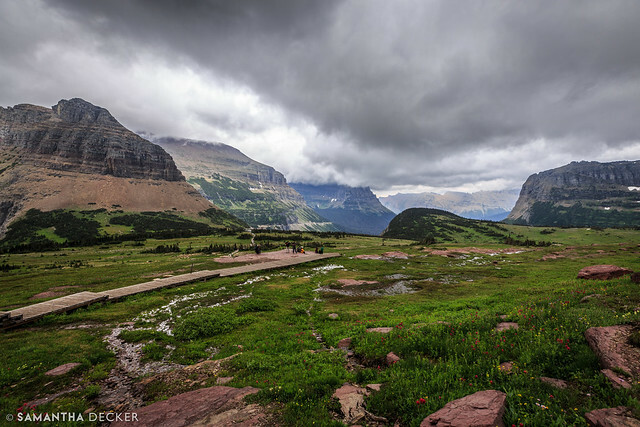 After all, one does not come to a National Park to check their email all day or peruse Facebook. 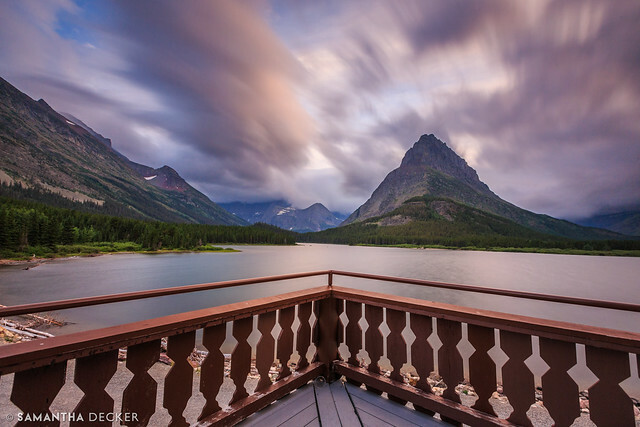 The deck of the Many Glacier offers a breathtaking view of Mount Grinnell and Swiftcurrent Lake. 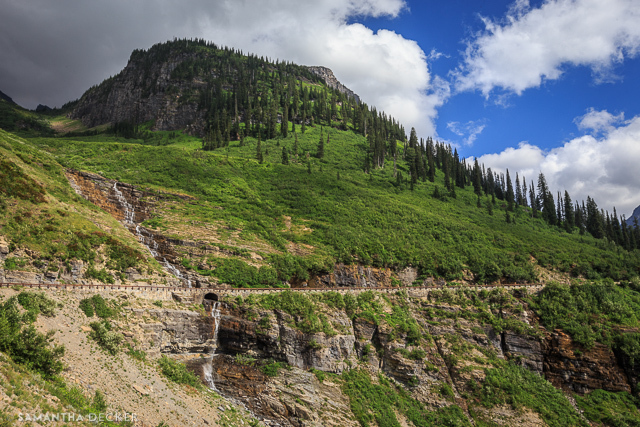 Going-to-the-Sun Road is the main road in the park. 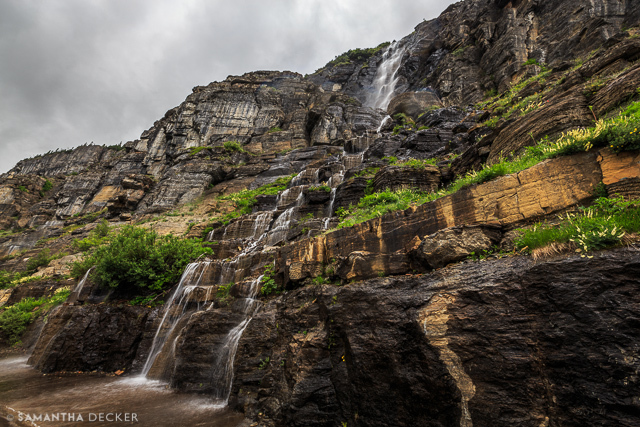 Above is one of the many small falls you will see coming over the side of the mountain as you drive past. I believe these are called weeping walls, but this is not the official Weeping Wall. 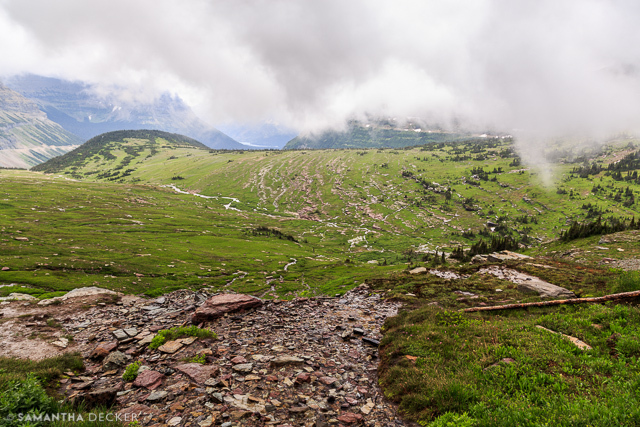 Hidden Lake Trail, which starts at Logan Pass, offered gorgeous views of alpine meadows and mountain wildlife. 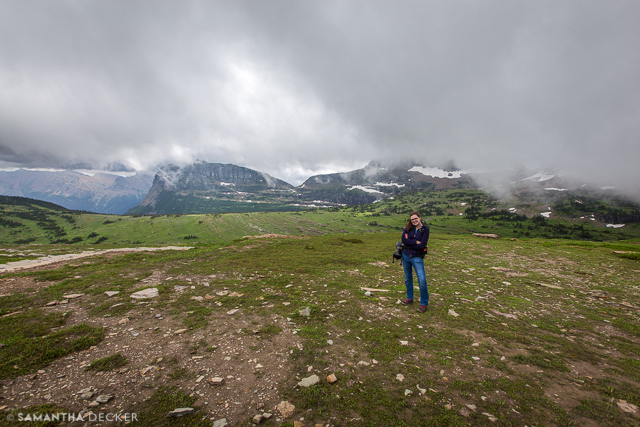 It was a little cold and cloudy, but I'll take cloudy skies any day over boring sunny cloudless ones! I had my Canon 6D around my neck with either my 16-35 or my 24-105 attached (used to take the above photo) for landscape shots, and the Canon 60D with Tamron 150-600 attached on my SpiderHolster (pictured in photo) for wildlife. 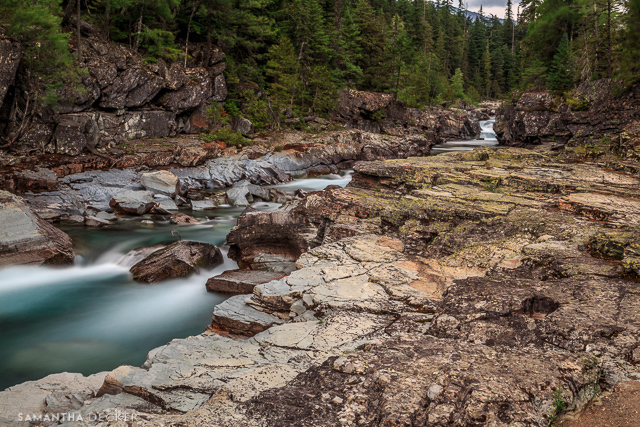 Add to that a backpack with other assorted lenses and gear and a can of bear spray, and it was a bit hefty, but completely worth it. 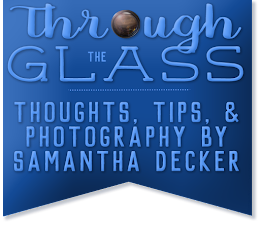 Braving the hot and sticky summer weather? I wasn't on this trip. 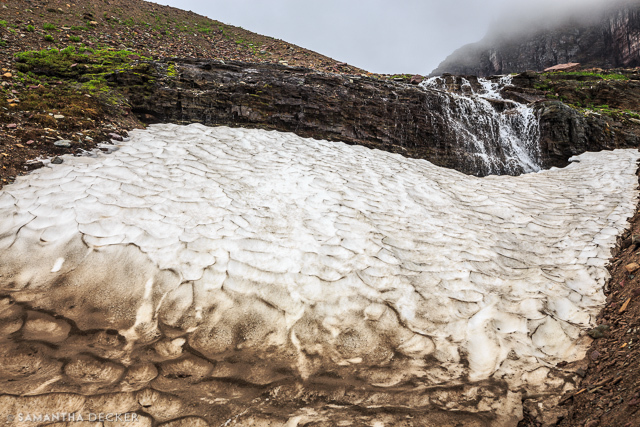 No, there's snow on the ground even in July in the Rockies. 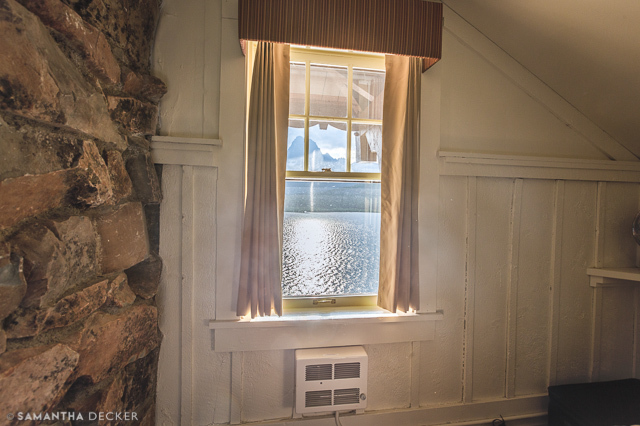 Every which way you turn, there's a view worth photographing. 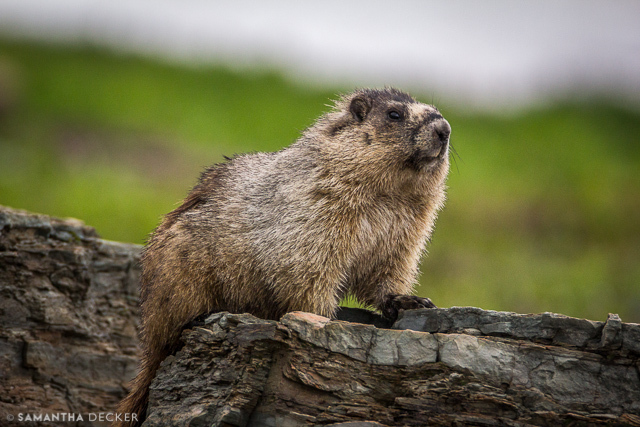 This marmot served as an opening act for the mountain goats I encountered. 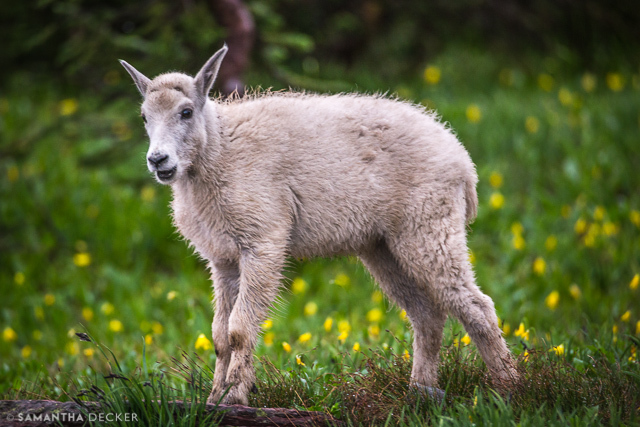 If I had one species I had on the top of my list to photograph at Glacier, it was mountain goats. 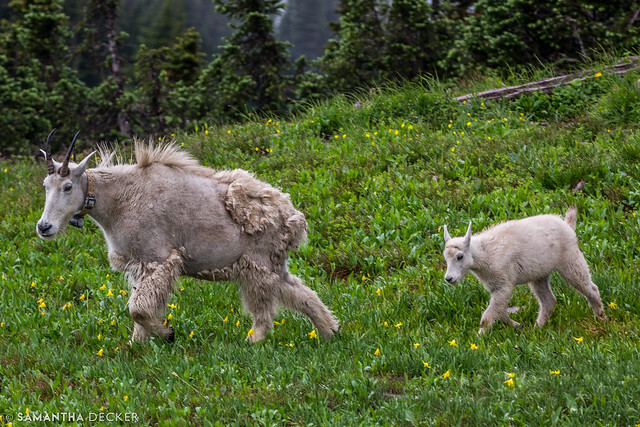 And I even got a two-fer: mama and baby! 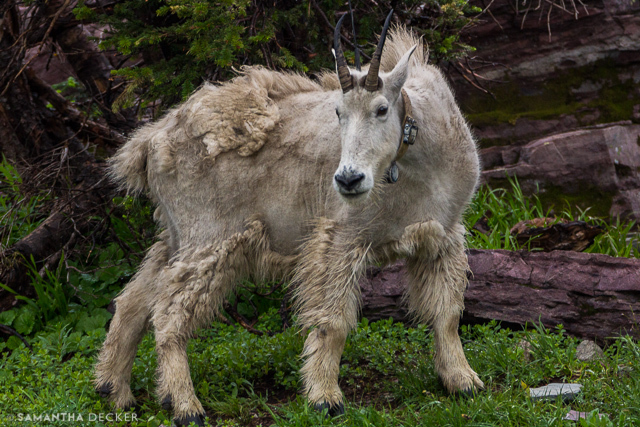 Mom sports a fashionable RFID tracking device that allows the Park Service to see where she's been and where she is. 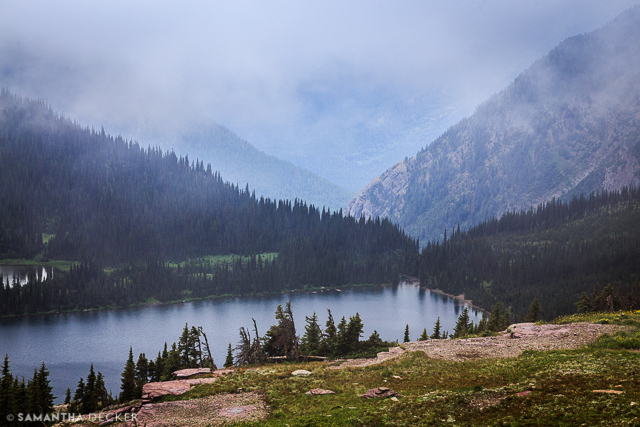 The gorgeous Hidden Lake Overlook awaits hikers at the end of the 1.5 mile trail. Unfortunately, when we arrived, it was completely covered in cloud, but it did clear up a little as we waited. On the way back down, there was not a view to be missed. 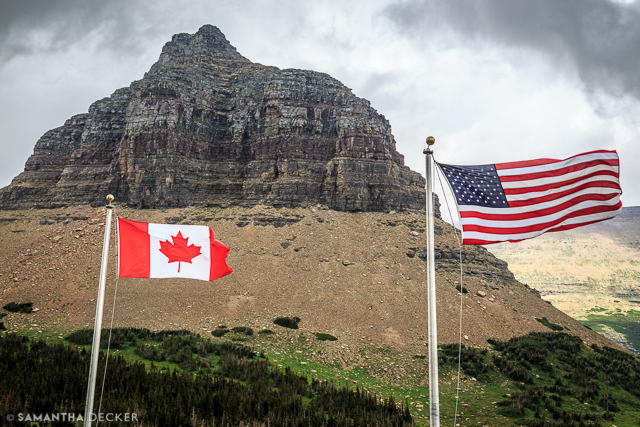 The Canadian and American flags outside the Logan Pass Visitor Center signal the Waterton-Glacier International Peace Park, the union of Glacier National Park with bordering Waterton Lakes National Park in Alberta. 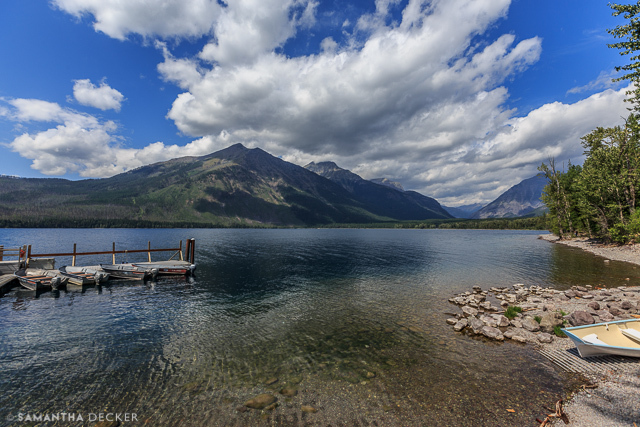 In a future post I will share my photos from Waterton Lakes. 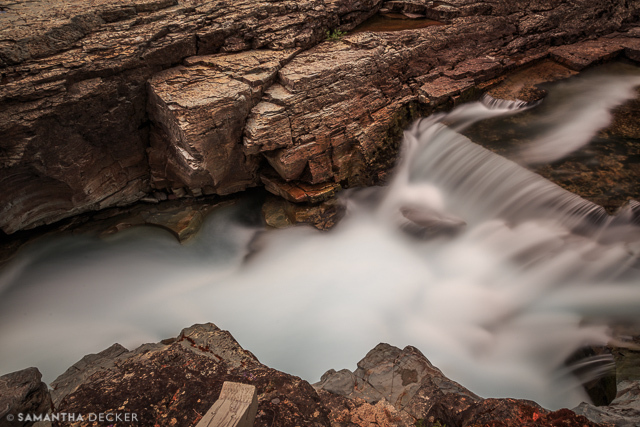 Chiseled rocks and pale turquoise water make McDonald Creek a nice little stop off Going-to-the-Sun Road. 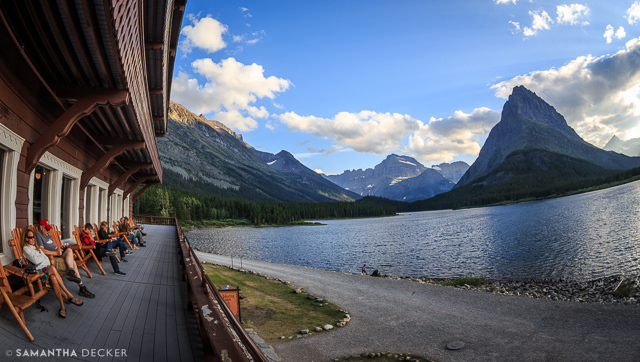 A quick stop at McDonald Lake allowed me an opportunity to view the water and the eponymous lodge. Of course, by this time, the sun had come out, which is good news for everyone except photographers. 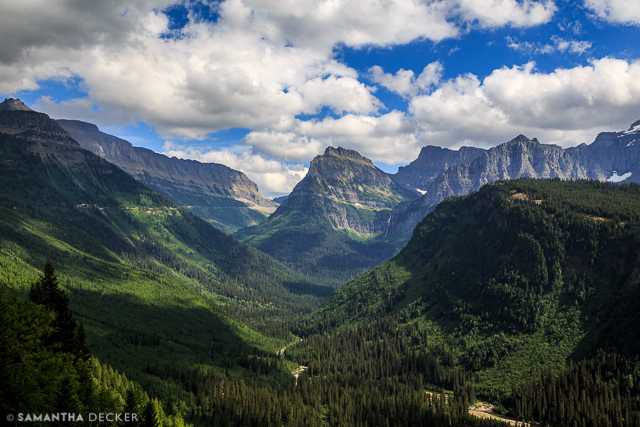 More awe-inspiring (I'm running out of synonyms for beautiful) from Going-to-the-Sun Road. 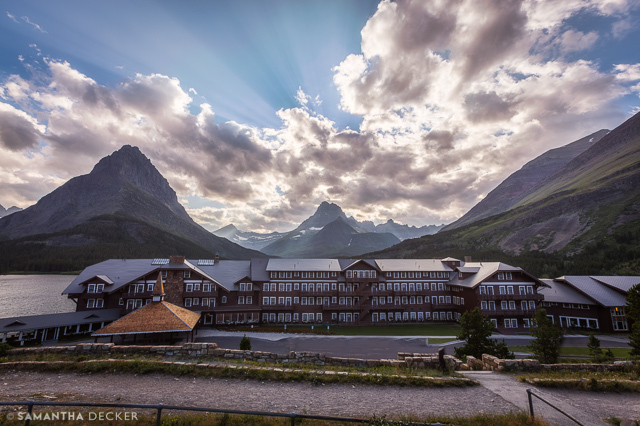 On the "hike" down from the parking lot (there's a trail and everything) back to the Many Glacier, I captured the evening light hitting the mountains and the lodge. 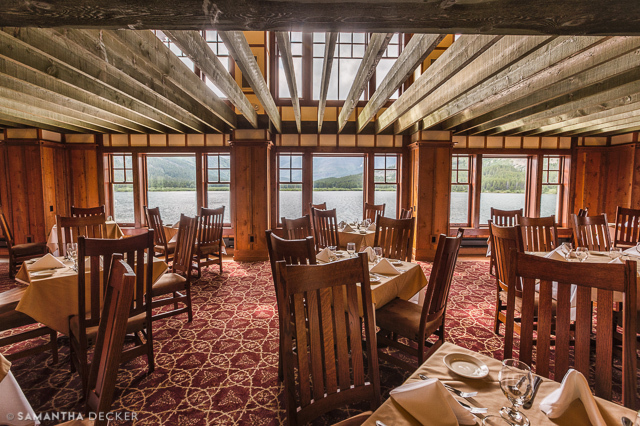 The rooms overlooking the lake offer great views, but they are even better observed from the deck down below. While waiting for a table for dinner and without my tripod, I propped my camera on some rocks for this perspective, above. 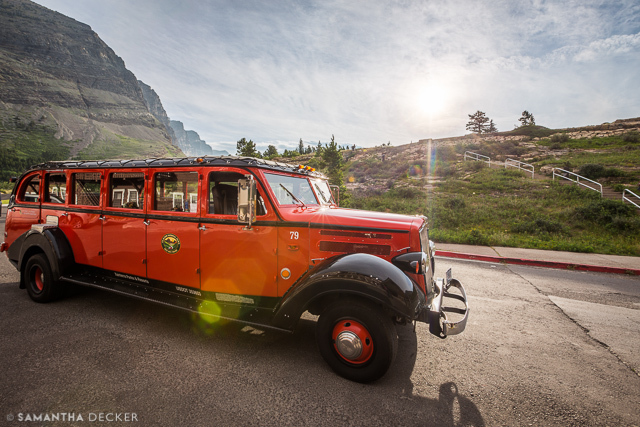 Although I did not ride in a jammer, as they are called, I still felt the necessity to photograph this iconic vehicle. 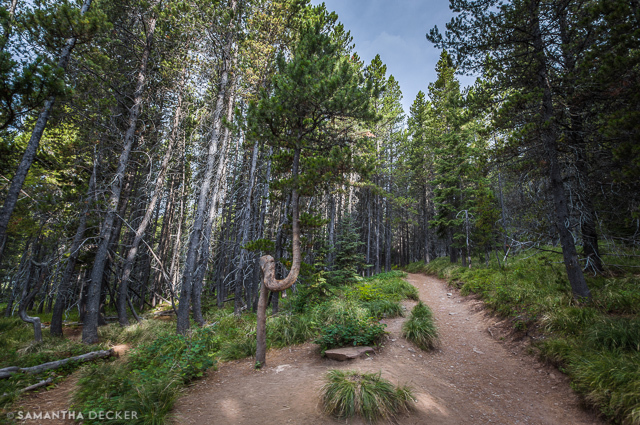 The hike to Fishercap Lake includes this oddly-shaped tree. They say the moose really like Fishercap Lake. Well, I went there twice hoping to see them, but all I got was this deer (sorry, little guy!). 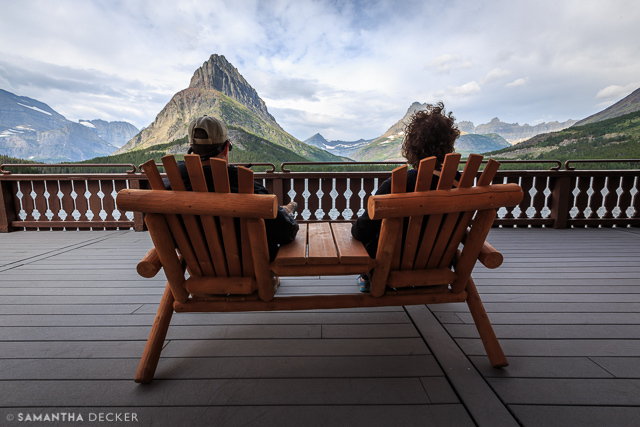 Back at the Many Glacier, it was time to soak in the views one last time before leaving. On the way out of the park you are left with a gorgeous view of Lake Sherburne (okay, actually it is on your way in, but I stopped to take the photo on the way out). 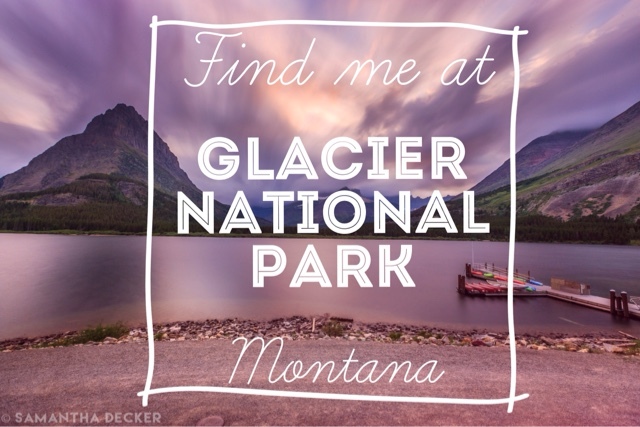 If you enjoyed my photos of Glacier National Park, head on over to my Western US Print Gallery to purchase one for yourself!